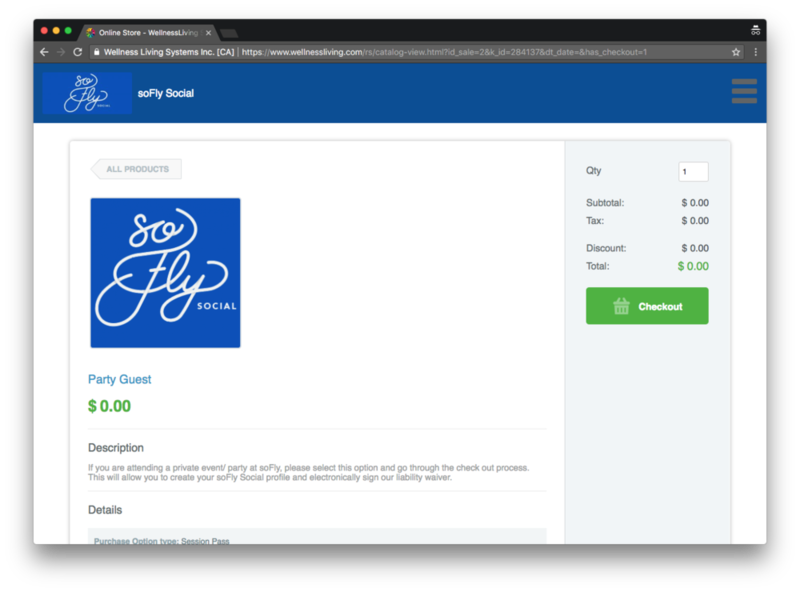 If you are a joining a confirmed party as a guest at soFly Social we highly recommend creating an account in order to sign the participation waiver. Doing this beforehand will allow us to jump right in and start your party in a timely fashion. We're super excited for y'all to come play with us! Access the Party Guest option through this link. Hit the checkout button on the Wellness Living purchase page. Fill out your basic information if you are a new customer. 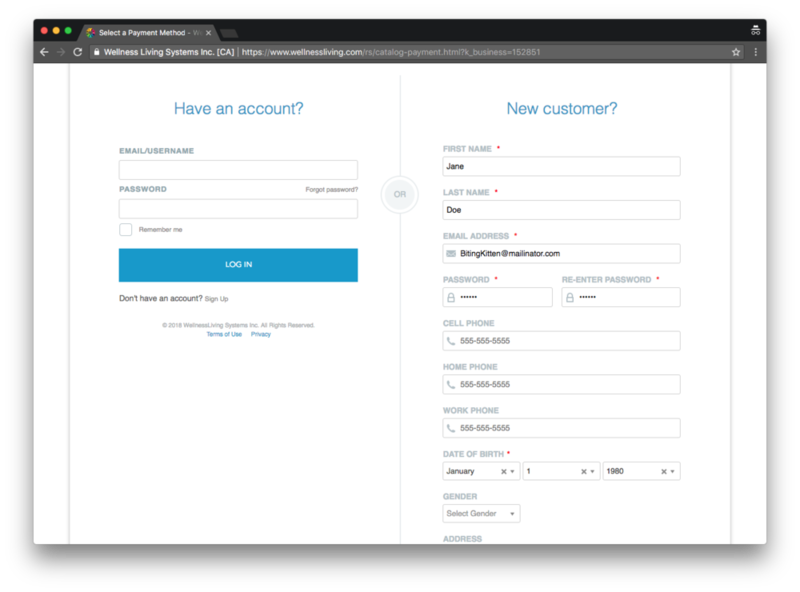 If your email is associated with an existing Wellness Living account (from another business) but you don't remember your credentials you may hit forget password in order to generate a password reset email which will be delivered to your email on record. Please review the student waiver and use your device to sign in the signature box before pressing the "I agree to Use Electronic Signature" button to agree to the Terms & Conditions. Complete your party participant set up by hitting the "Complete" button at the bottom of the page and you are all good to go!